While this has circled around the globe, today was my first time reading this. It was a much needed reminder and it brought warmth to my heart. If this touches one other person, (men included) I have achieved my goal. Never let too much time go by before you say I love you and before you show your love for her. You will never regret it. It is worth giving of your time and of the love that is in you to cherish every moment. If she is alive do something special with her this month. Something to honor her. For if you still have her and those eyes that gaze on you with love, seize the moment. 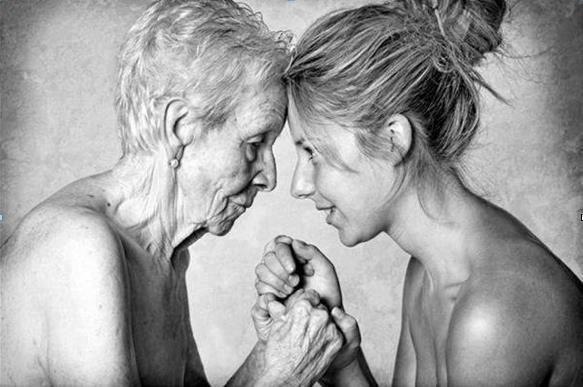 This entry was posted in Uncategorized and tagged Aging, beauty and humanity, daughters, elderly, fathers, humanity, mothers, sons. by debralambers. Bookmark the permalink.